Home Entertainment news Calabar Carnival to lighten the dry run"Nollywood stars'. 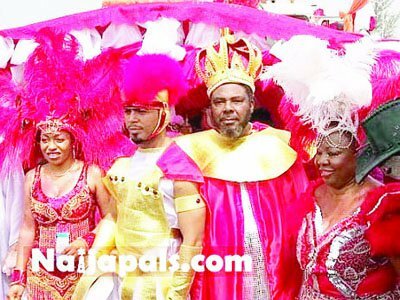 Calabar Carnival to lighten the dry run"Nollywood stars'. As the People of Cross River State and their government prepares for this year edition of the popular Calabar Carnival, there are indications of a side attraction that will involve notable stars in the Nigerian film industry. Although actors are known to have participated in the show, this will be the first time they will be taking part in the dry run, being the last before the main show, tagged Africa’s biggest street party. Some of the actors and actresses expected at the dry run include, Bimbo Akintola, Shan George, Pete Edochie, Jide Kosoko, Fred Amata, John Okafor, aka Mr Ibu, Sedater Saviour, Fidelis Duker, Moses Armstrong, Ini Edo and Emmanuel Williamson,Desmond Elliot, Keppy Ekpenyong, Alex Ekubo, Kunle Afolayan, and others. The actors and actresses are expected to be in Calabar for the show this Sunday where they will later storm the Transcorp Hotel, Calabar for the Cross River Movie Award (CRMA). According to Mr. Obaji Akpet, Creative Director of Cross River Studios, the company responsible for publicizing CRMA, said CRMA’s goal was to bring the needed support to entertainment events in the State. Akpet urged government and private individuals to encourage CRMA; given the level of limelight it is giving art and entertainment in the State. Convened yearly by Mr. Eric Anderson, Special Assistant to Cross River Government on Tourism Development, CRMA, since its debut in 2013, has remained Cross River State’s foremost movie event.